In recent days the Arab media report of "first" Coptic Mass in Saudi Arabia. The function celebrated by Bishop Ava Morkos was held in a private house. Activists recall that Riyadh has not made "significant steps" in terms of religious freedom. And cults other than Islam remain prohibited. Riyadh (AsiaNews) – Under attack on several fronts for the bloody war in Yemen, with civilian victims, the murder of journalist Jamal Khasshoggi and the repression of pro-human rights activists, the Saudi hereditary prince is opening - in small steps - to freedom religious. 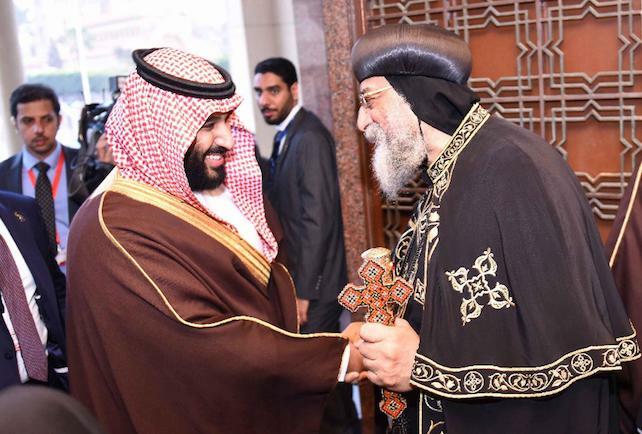 Arab media this week published pictures and articles on the "first" - according to the news - Orthodox Coptic Mass celebrated in Saudi Arabia last December 2. A ceremony that, in reality, was held in a private house and was presided over by the Egyptian bishop Ava Morkos, of Shobra El Kheima. 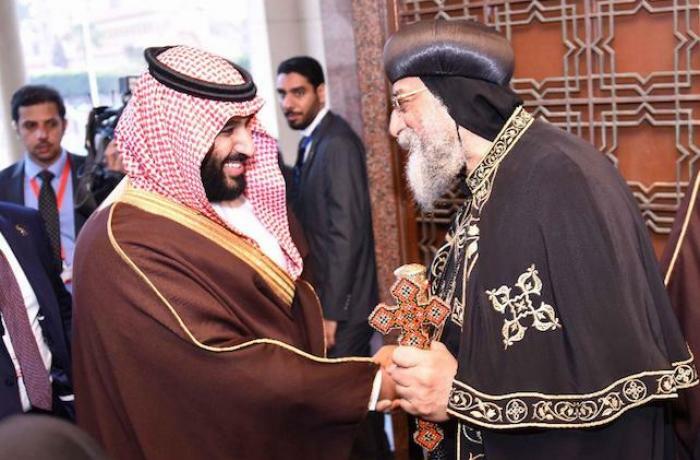 The Coptic bishop visited Saudi Arabia at the personal invitation of Mohammed bin Salman, the powerful number two of the kingdom; in the context of the trip, he "brought with him all the objects necessary to celebrate a Mass". The liturgy, repeated over a period of two days, was held at the home of a Copt in the presence of several Christian families in the area. In the context of the visit, Bishop Morkos met the secretary general of the Islamic World League Muhammad bin Abdul Karim, the Egyptian ambassador Osama al-Nugali and prominent Egyptian personalities. At the center of the talks are the ways to strengthen relations between the Coptic Orthodox Church and the leaders of the Saudi kingdom. The activists of International Christian Concern recall that in the last year Mbs met several leading religious leaders. Among others, the Maronite Patriarch, Card Bechara Raï, who visited Riyadh last November. However, beyond these small openings, "there have been no significant steps in terms of religious freedom" for the Saudis and for foreigners in the Kingdom. Saudi Arabia has a Christian community, comprising mostly of migrant workers from Asia (India and Philippines above all) and from Egypt. These practise their faith with extreme discretion (news of functions in private homes is not new), in order not to incur the repression of the authorities or the radical Muslim wing. Moreover, in the kingdom there is an absolute Sunni monarchy, governed by a Wahhabi and fundamentalist view of Islam that does not admit any other worship except of Muhammad. Recently in the country there have emerged reports of arrests of activists and torture in prison, once again illustrating that the program of "reforms" wanted by the 33-year-old Crown Prince Mohammad bin Salman and so much flagged by local media in the context of the Vision 2030 program is illusory and fake. Some reforms have affected women’s rights in the social sphere. However, the arrests of senior officials and entrepreneurs, the repression of activists and dissenters, the war in Yemen with civilian victims, even children, and the assassination of dissident journalist Jamal Khashoggi cast more than a shadow on Mbs .